Fusion Cash has been around for 12 years. They are based in California but have participants in all 50 states and Canada. Fusion Cash is a typical “get-paid-to” site. They offer cash incentives in various ways, including participating in trial offers, watching videos, taking surveys, and completing tasks. Typical doesn’t mean bad, but there really are tons of these sites out there. How are you to know which ones are worth your time? We can tell you Fusion Cash probably is, but read on to find out for yourself if this site is for you. Signing up isn’t hard, but there is a little more to it than simply entering your email address and your name. They are sticklers for identity verification and fraud prevention. There is a $5 sign up bonus, but to be credited, you must verify your email address and complete the profile survey. Neither of these takes very long, but they are extra steps that are not required by all sites. Then again, not all sites offer a $5 sign up bonus. They also want you to enter and confirm your phone number. This is, again, to help deter fraud. It helps them prevent members from opening multiple accounts. You can choose to verify through a phone call or text, and if you choose text, you get a whopping 1 cent bonus. They state this is because it is cheaper for them to send a text than make the phone call. The panel is open to the United States and Canadian citizens. Canadians must be 18 years old or older, but in the U.S., you only have to be 13 or over as long as minors have parental consent. You can deactivate your account at any time, but you are not allowed to open another account, ever. This is one of the best parts and truly makes Fusion Cash stand out among other such sites these days. They pay in cash. There are no points and no gift cards. In the U.S. you can choose to be paid via check, PayPal, or direct deposit. In Canada, PayPal is the only option. It is worth noting that Canadians are limited to earning $599 per year. Any extra earnings are simply lost. The previous months earnings are paid on the 20th of the month. If you choose to be paid by check you are agreeing to wait an extra 10 days for check processing and shipping. The minimum cash out amount is $25. This means that $5.00 sign up bonus actually gives you a pretty good start. Of your $25 minimum cash out though, $15 must be non-bonus credits. Bonuses are those credits paid by Fusion Cash directly for various reasons and not through completing offers or answering surveys. Earnings expire after 180-days. Any funds not cashed out within 180 days are lost. There are a variety of ways to make money on the Fusion Cash site. Some pay more than others, and some take more time than others. There is a variety of paid-to-sign up offers available at any given time. It is important to note that these are not always fast cash options. Some of them do not get credited to your account until you have completed the requirements of the offer. For example, on offer currently available that pays $8 requires you to sign up and use the service for 2 months before you are credited. Also important to know is that many of these require credit card information. It is true that after you have completed the offer requirements and get paid, you can cancel, if you want, but if you do not remember to do that you will be charged. This is because most of these are memberships or subscriptions that required a regular fee, such as magazines or game rental company memberships. As you can imagine, these often overlap. While those offers that require credit card information often pay more, there are some that do not require credit cards that aren’t too shabby. While currently most of them are worth less than a dollar, there is one that is worth $2.50. There is also the option to get paid for watching videos. They vary greatly in length and most only pay pennies. If you are used to setting videos to play in minimized windows while you do something else, you may be disappointed here. In order to be credited for watching videos, you must leave it fully visible and watch it all in one sitting. This is a viable option, but there are many other ways to make money on the site that pay much more. You can earn up to 10 cents per day printing coupons. You must print at least 25, and you can only repeat after 24 hours. Paid to click offers pay 15 cents and you must stay on the page for at least 2.5 minutes. These are offers that pay you for downloading and using certain apps. The amount paid varies, with some paying well and some not so much. Also, some of them will not credit you if you uninstall, so be sure you understand all of the requirements before proceeding. There several casino type games that allow you to win real money. Of course, you have to spend real money as well, but if you enjoy this type of game, the option is available. You can make money completing tasks similar to Amazon MTurk. Tasks are dividing into levels, with the lowest level paying the least, up to the third level with tasks paying significantly more. You can move up in level by completing jobs with a high level of accuracy. An example of a current level one job is to collect phone numbers from websites. This job pays 3 cents. That isn’t much, but if you have time to complete several jobs like this for low pay, and do it well, you can move up in level and make more. The referral program is actually really good. You can earn $1 for each referral once they confirm their email address, and well as $2 when they complete a “paid to sign up” offer, and $5 each time they cash out, for life! This is great if you have a large social media following as you could make significant money. Don’t forget the requirement that at least $15 of your cash out has to be from non-bonus credit, however. You still have to complete some offers. The best part about the surveys is they pay cash. It is much easier to see here, as compared to other sites, exactly which surveys are worth your time. Most of them range in time requirements from 15 to 30 minutes, and they pay from $.50 to $1.70, with some paying less and a few paying more. There is no correlation between what they pay and how long they take. I had a 12-minute survey that paid $5 and a 30-minute survey that paid $.75. It depends on the type of survey and the company releasing it. Completing all the profile surveys helps guarantee you are receiving surveys that you qualify to complete, and if you do all the profile surveys, you get a $.50 bonus. Some surveys offer a 1 cent disqualification bonus. There is a huge, highly active forum community that is a wealth of information. If you have questions, use the search bar on the forum, and you are likely to find the answer. There is also a $3 per month bonus available for forum posting if you meet the requirements. Fusion Cash has an A+ rating with the BBB, and they are accredited. There are 46 total reviews, and of those, 39 are positive. They have 15 complaints. The company responded to these in a very detailed manner on the BBB website. They accepted responsibility when they were in the wrong and remedied the situation, with an apology. In the cases where they were not in the wrong, they still tried to help the customer, though they did state that they were not in the wrong. These cases usually involved the creation of multiple accounts or credits that expired. Each are topics that are addressed in detail in the terms and policies. Fusion Cash is 100% legit. 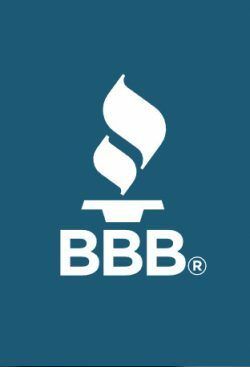 Scammers do not become BBB accredited, nor do they achieve an A+ rating. They pay as promised, and work hard to remedy any issues that occur. Though there are cases where they admit that the system fails and earnings are not credited, they offer this advice for helping to ensure this does not happen. If you follow the rules as spelled out in the terms and policies and heed this advice, the chances of not getting paid are slim. Fusion cash is an excellent paid survey site. It pays cash and pays well, comparative to other similar sites. It is up there with Swagbucks and Inbox Dollars, also excellent sites. While it is unlikely anyone is going to get rich or even make a complete living answering surveys, there is real potential to make decent supplemental income at Fusion Cash. Have you been using Fusion Cash for a while?